Marriage reminder from Christmas tree fiasco! It was nearing Christmas and I had just gone through a divorce after 18 years of marriage. My children were 16 and 14 at the time and I wanted to keep as many Christmas traditions in place as possible, so I announced that I was taking the kids to cut down our Christmas tree from a local tree farm. Just before we took off, I realized I didn’t have any way to tie the tree to the top of my SUV. But hey, I’m a reasonably intelligent person, or so I thought. lol I wasn’t going to let anything deter me! So I searched my new house for something resembling rope or a bungee cord. Alas, there was no such thing on hand. All I had was some….sewing thread. Hmmm. Well, maybe a whole bunch of thread would work? Off we went to pick out our beautiful Christmas tree. My son cut it down. Unlike me, he apparently knew how to handle this part of the operation. We hoisted the tree to the top of my SUV and then I carefully wove my spool of thread back and forth across the tree to secure it to the roof. My kids just shook their heads in disbelief. Then we took off, and we actually made it about a half-mile before the tree took a slow, inelegant slide from the top of the car to the road. Splat! Sit down with your husband and brainstorm ideas on how you can keep God in the center of your marriage. 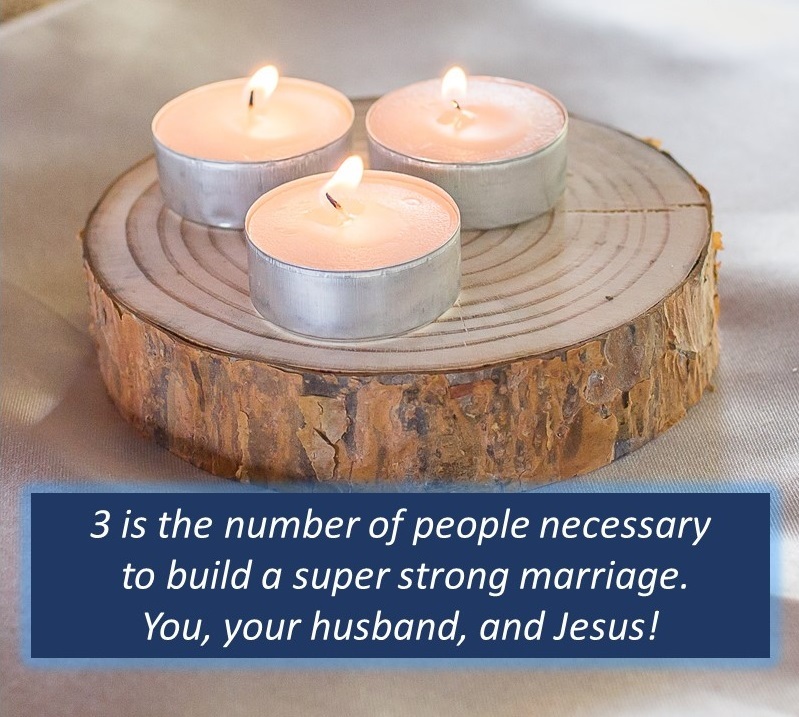 You will need him to help hold you guys together when you encounter the inevitable adversity and challenges that hit every marriage! ← Be on high alert for this scheme from the pit of hell!